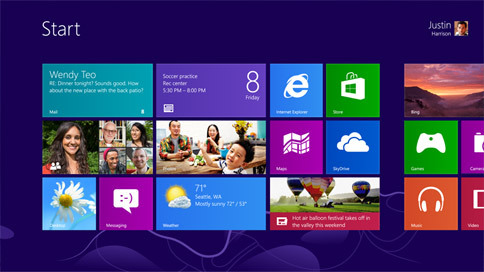 Since Windows 8 is still new to many, there are few questions that you might ask yourself about this newest Microsft OS. If you are wondering if windows 8 is the right product for you, it will be wise to get a free evaluation copy and try it out before buying. To experience Windows 8 fully you might need to make some hardware changes too. whether you like it or not windows 8 is built around touch, therefore making it more useful and simple to use with a touch enabled device. Before making the final decision whether to purchase or not, you might want to download a free copy, run it on your home pc and try it out to see. there some great advantages that come with it too, like speedy boot time, improved search, tiles-based interface and many other great improvements. Go to msdn.microsoft.com and scroll to the bottom of the page, choose between the 32 or 64-bit version. You will need to log in with your microsoft account to download windows 8. Note: The evaluation copy will expire after 90 days and cannot be upgraded. you might want to set up a dual boot or use a virtual machine.